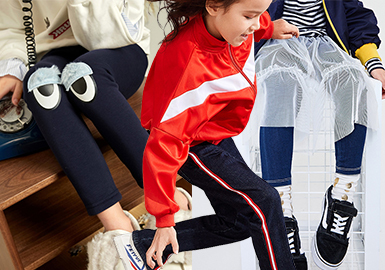 In A/W 18/19, girls' trousers emphasize details and styling, and show individuality. 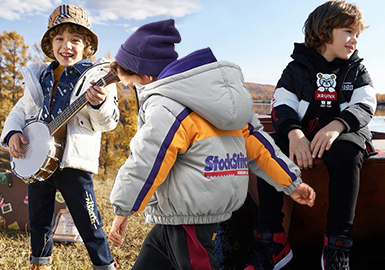 Brands including MQD, GXG.kids, Little MO&Co., Mini Peace and Balabala stand out in terms of silhouettes, details and fabrics. 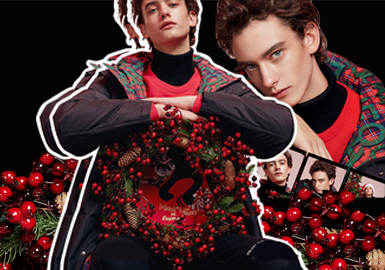 Based on the sales of menswear on Taobao and Tmall during Singles' Day, we find that GXG, Peacebird Men, Jack & Jones and Mark Fairwhale are most popular high-street brands in China. Males prefer simple yet distinctive garments nowadays. 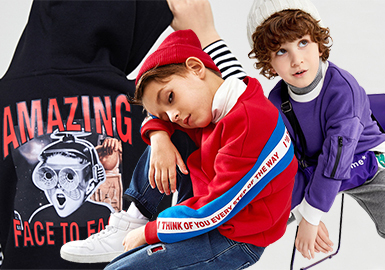 In A/W 18/19, boys' sweatshirts of MQD, Mini Peace, GXG.kids, Balabala and Little MO&Co. 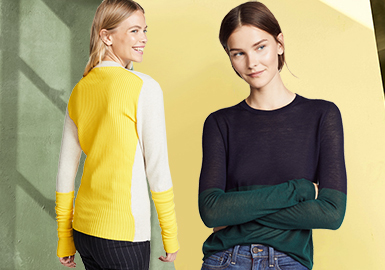 are vibrant and chic. Color blocking and letters play key roles, while appliques are in brights and mixed materials. 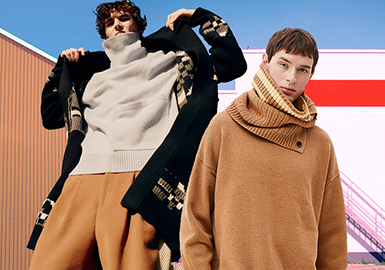 The A/W 18 collection of Mark Fairwhale takes inspiration from extreme sports and Chinese kung fu. 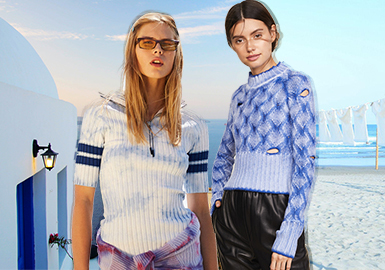 Patches, webbings and color blocking are key details. 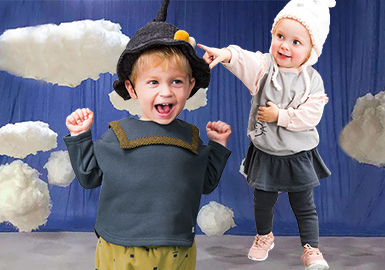 In the A/W 18/19 Korean market, kidswear brands like Alfonso, Allo & Lugh, Milk Mile and Pimpollo are recommended. 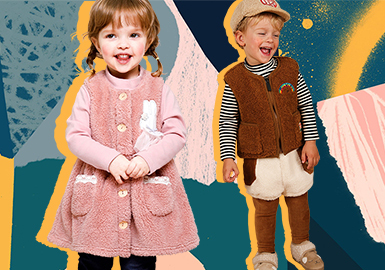 Tops with puff sleeves, ruffled dresses, sailor collars, work jackets and fuzzy coats are key. 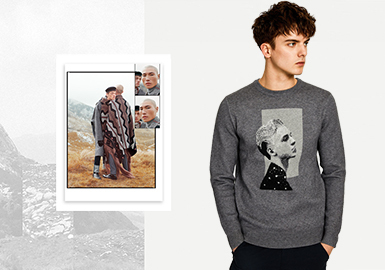 Removable labels are common on denim coats and cropped jackets in 18 A/W. For example, there are GXG's removable label and Peacebird's long woven label, which are both convenient and stylish. 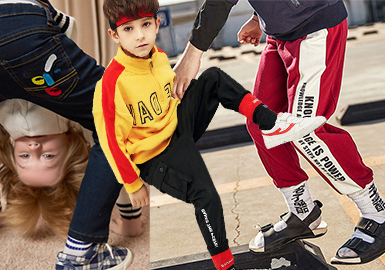 The A/W 2018 collaboration of Kith x Tommy Hilfiger includes 50 items, marrying Tommy Hilfiger's classic design with Kith's street style.